Discussion in 'Empire Help & Support' started by chickeneer, Nov 3, 2014. Are you sure you connected to the same SMP? It looks highly unlikely that this would happen, especially with losing your inventory. FadedMartian and Foxy_Kitty like this. ..nah he probably hit the old servers with a hammer. I have personally done so at my job and they started working fine again. Gawadrolt, Silken_thread, NuclearBobomb and 3 others like this. like the hammer in SSB? Gawadrolt, NuclearBobomb, FadedMartian and 1 other person like this. SMP7, SMP8, and SMP9 all appear to be down as of 9:50AM EMC time on 02-March-2019. so tragic backstory: I had lag issues on my end, creeper blew up my 135 speed horse, then my internet cut out I came back on when that straightened out to find i'd been killed by a slime. since then I've been trying to make money to buy a new horse if I can find one. enter the issue: i'm trying to mine gravel at the bottom of the ocean to make concrete to sell but whenever I drink an eight minute potion of water breathing it only gives me 2 minutes. at first I thought ok this is odd but maybe the potions I used at first are almost 3 years old and the codes changed for potions as a whole but that theory didn't pan out. Especially when I made 18 brand new 8 min water breathing potions just a few minutes ago. Even the new ones are doing the same 2 minute thing. I've scoured the forums for any changes the server itself might have made and I've come up with nothing so this is definitely a bug in my opinion. HazardousCode and JesusPower2 like this. Do you use a helmet with Respiration 3 and Aqua Afinity. That will help a lot. This isn't exactly a serious server problem, but on the games server, almost all of the funland games are broken. Plus, the race parkour thing was glitching and acting a little strange. The_Mancub, PatchesMasterBlk, and I decided to go and have some fun on Games last night, but we spent about 20 min. trying to find a game that actually worked! After like 30 minutes we finally settled down w/ pvp. And almost all the others, if not all of them. Is the Games Server just being forgotten about? ConductorConduit, The_Mancub, UltiPig and 6 others like this. Bugreport: "/smp utopia" doesn't work anymore (again...). So I don't feel like reading through 93 pages to see if the issue I ran into last night is on here so I'll post it anyway. So on Sunday night I spawned 15 ocelots, tamed them, and made them sit. For some reason, before they were grown they teleported to me and were promptly killed by an enraged silver fish. Last night same thing spawned 15 ocelots, tamed them made them sit and went to chop trees. Before they were grown they teleported to me. Yes there is a "safe house" and yes this is in the waste. I keep losing cats before they can grow up and breed and it's very aggrivating. If you are attacked and take damage tamed animals will usually unsit automatically, at least in my experience. I know but I wasn't close to them when I was hit and when they teleported they were still sitting. It's a crazy cat lady! Hope this gets sorted out! 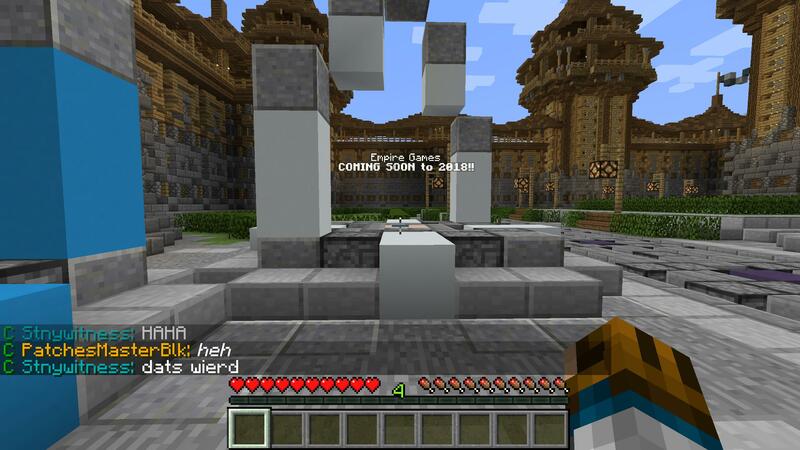 This sounds less like a server problem and more like the way Minecraft just works. Since I don't have all the details of what happened, to be certain of this, you'll have to read this section of the MC wiki and possibly also this section as well. (Links are to Teleportation and Taming section of the official Ocelot wiki page, respectively). Summed up from wiki-data:: If you or the cat gets hurt or it grows up from being a kitten, it will teleport to you despite being told to sit. If it was them being hurt, they won't be standing. If it was from growing up, they'll be a cat and will resume sitting. If you were hurt and are nearby, they will move a bit and sit again (during this time they are probably able to teleport to be close to you if the chunk they were in is still loaded). "A cat sitting in proximity to the player will, if the player is harmed by a hostile mob (or by careless use of a damaging potion, but not by environmental damage), stand and move from its sitting location a few blocks and then resume sitting, such that the player will need to place the cat again." I suggest using a lead to keep your cats/ocelots contained. Leads prevent animals from teleporting to you. Alternatively, just stay in the same safe room as the ocelots/cats until they are grown and bred, thus avoiding the damage-trigger for teleportation. HazardousCode, jacob5089 and Tbird1128 like this.